We have been helping thousands of couples fulfill their dreams of becoming parents for more than 14 years. Through our comprehensive and caring program, we will give you the best possible chance of overcoming your infertility problems. AltraVita is the first and unique IVF clinic in Russia accredited by the College of American Pathologists (CAP), the world’s largest medical association widely considered the leader in laboratory quality assurance, the European Society of Human Reproduction and Embryology (ESHRE), the American Society for Reproductive Medicine (ASRM). We provide the full spectrum of services ranging from initial infertility diagnostics and treatment to advanced assisted reproductive technologies such as in vitro fertilization with preimplantation genetic diagnosis and screening. AltraVita IVF clinic has a well-developed Egg donation program corresponding to the highest standards and criteria set by the American Society for Reproductive Medicine (ASRM). We have a large database of active egg donors who undergo a thorough medical examination. We only accept egg cells from young, good-looking, healthy donors with proven fertility. 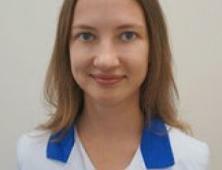 Russian donors have various phenotypes, some of them are blond and blue-eyed and some are dark and black- eyed. The Surrogacy program of AltraVita clinic is strictly monitored and supported by lawyers specialized in family law. Russian Federation law allows the issuing of the birth certificate directly to the intended parents name, no adoption proceedings are necessary. The legal conditions and social attitude towards surrogacy in Russia are extremely positive; hence, the program has been able to help couples from countries where surrogacy is prohibited to find a suitable surrogate mother. Since gamete donation and surrogacy programs are restricted in some countries and are extremely expensive in others, these programs are of particular interest to our foreign patients and our partners from foreign IVF clinics. AltraVita clinic also performs treatment of patients above 50 years of age and/or with elevated FSH levels and repeated failures in ART. I had embryo donation in AltraVita IVF. It was a difficult decision to become a single mom at 42... But now I am the happiest person in the world. Thank you for this gift! 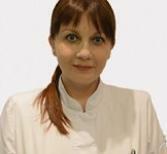 AltraVita s renowned for being one of the most respected and successful infertility clinics in the world. Gynecologist, Fertility Specialist. Highly experienced obstetrician-gynecologist. Endoscopic-surgeon. 1987-1989 – clinical residency in maieutic and gynecology based on the Medical University of Crimea. 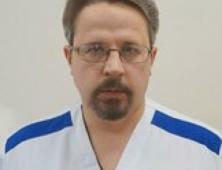 From 1989 till 1993 worked as obstetrician-gynecologist in the Regional Clinical Hospital of Semashko. 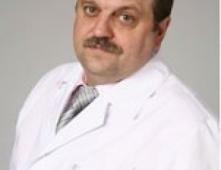 1993-2001 - chief of the interregional center of family planning and human reproduction (Simferopol). 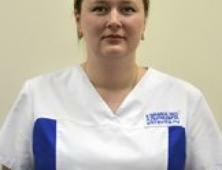 The first IVF laboratory in the Crimea (first child from "tube" was born in 1994) was a part of it. 1999 – passed Ph.D. defense on the subject "replaceable hormonal therapy by women with an extirpation of the uterus, came through relaparotomy of peritonitis". 2001-2004 - Chief of the republican department of reproductive medicine and endosurgery. 1996-2004 - Chief specialist of MZ of the Crimea concerning family planning. auxiliary reproductive technologies (including IVF)gynecological endoscopy (abdominoscopy, hysteroscopy, fertiloscopy)ultrasonic gynecological diagnosisfamily planningclimacteric Member of Russian Association of Human Reproduction, Russian Society of Endoscopic Surgeons, Russian Association of Gynecologists and Endoscopists, European Society of Human reproduction and Embyology (ESHRE). Competently masters all modern methods of diagnostics and infertility treatment. At her practice more than 1500 couples became parents. Highly qualified obstetrician-gynecologist, fertility specialist, candidate of medical sciences. 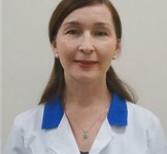 More than 15 years practice in infertility treatment, conducted successful organization of two IVF centers in Russia. Competently masters all modern methods of diagnostics and infertility treatment. At her practice more than 1500 couples became parents, 1000 of them with help of assisted reproduction methods. 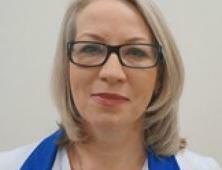 Member of Russian and European societies, active member of multiple international conferences and symposiums. Author of monographs, teaching guides, more than 30 scientific publications. AltraVita fertility specialists are empathetic to your needs and understand the struggles through the difficult process of infertility treatment. Obstetrician-gynecologist doctor, fertility specialist, candidate of medical sciences. 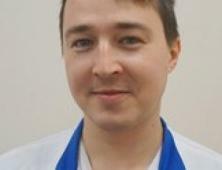 Graduated from Moscow Medical Academy of I. M. Sechenov. Passed internship and postgraduate study on the basis of Scientific Center of Obstetrics, Gynecology and Perinatology. Worked as doctor-obstetrician-gynecologist, was engaged in conducting pregnancy by risk-group patients of miscarriage pregnancies. 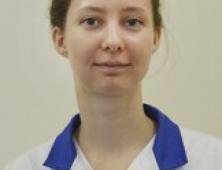 Her master’s thesis is devoted to studying of various aspects of application antagonists application and agonist of gonadotropin releasing hormone in the assisted reproductive treatment programs. Conducted clinical researches of the antagonist of gonadotropin releasing hormone in department of IVF Research Center of Obstetrics, Gynecology and Perinatology of Russian Academy of Medical Science according to the international GCP standards (Good Clinical Practice). 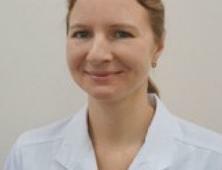 In 2004 represented results of her scientific work on the Congress of the European Society of Human Reproduction and Embryology (ESHRE) in Berlin. Author of multiple published works, including two collective monographs. Member of the Russian Association of Human Reproduction (RAHR), European Society of Human Reproduction and Embryology (ESHRE), Russian Association of gynecologists-endocrinologists and Russian Association "Menopause". 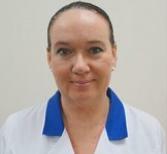 AltraVita beholds some of the most experienced infertility specialists and staff members in the world. Each team member delivers caring and understanding support on every infertility journey and provides the solutions it requires. Graduated from postgraduate study of Scientific Center of Obstetrics, Gynecology and Perinatology of the Russian Academy of Medical Science. 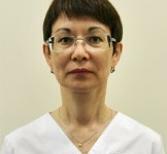 Worked as gynecologist-endocrinologist doctor in the leading clinics of Moscow, among them policlinic of the Moscow Government. In 2003 passed the master's dissertation devoted to influence of hyperproduction of a growth hormone on carrying out IVF program. Got a wide experience on carrying out IVF programs, which includes infertility of patients with hypophysis microadenomas. Author of numerous of published works and articles published in specialized scientific magazines and miscellanies, including two collective monographs. In 2003 results of scientific work were presented on the Congress of the European Association of Human Reproduction and Embryology (ESHRE). Served internship in Germany granted from Marion Donhoff Stiftung Fund. Fertility specialists at AltraVita are aware of the most uncommon infertility issues, and posses the knowledge to provide tailored solutions. Highly qualified obstetrician-gynecologist doctor, fertility specialist, candidate of medical sciences. Member of Russian Association of Human Reproduction. 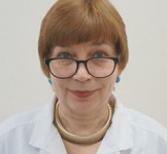 Member of Russian Association of gynecologists-endocrinologists and Russian Association "Menopause". Worked as obstetrician-gynecologist specialist, as gynecologist-endocrinologist in the leading clinics of Moscow, among them "Medcentre" of Head Department of Diplomatic corps of the Ministry of Foreign Affairs. Author for more than 50 articles and 2 monographs devoted to infertility treatment questions, habitual miscarriage, and therapy of endocrinopathy (including hyperandrogenism). 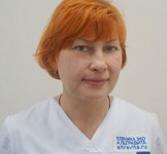 Has numerous Russian and foreign certificates on gynecologic endocrinology, ultrasonic diagnostics, pathology of vesicle cervix, application of laser surgery in gynecology. Fertility specialists and AltraVita use advanced assisted reproduction techniques with great success and put smiles on the faces of many new families. 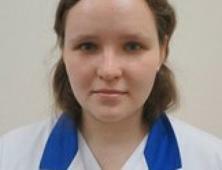 Honor’s standing and with the gold medal "Succeeded" graduated from the Moscow medical academy of I. M. Sechenov. 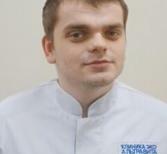 Passed clinical internship and postgraduate study on the basis of the same higher education institution, under the guidance of the academician of the Russian Academy of Medical Science professor A. N. Strizhakov. The master's thesis is devoted to pregnancy forecasting at habitual miscarriage. Expert level certified specialist in ultrasonic diagnostics (three-dimensional echography) in obstetrics and gynecology (in 2006 was trained in Austria, Vienna). The invited lecturer on the international master classes ("Diagnostic innovations in reproductive medicine"). General experience in the specialty - 12 years. Has practice in the department of operational gynecology (CCH). 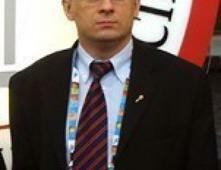 Numerous times made reports on the Russian and foreign congresses. Coauthor for more than 40 publications, including 2 monographs and manuals. Coauthor of the National guidance "Obstetrics" (2007). Member of the Russian Association of Human Reproduction (RAHR), European Society of Human Reproduction and Embryology (ESHRE), the International Society of Ultrasonographers in Obstetrics and Gynecology (ISUOG). Carries out the assisted reproductive treatment programs comprehensively, diagnostics and conducting pregnancies; carries out small gynecologic operations, three-dimensional ultrasonic diagnostics in obstetrics and gynecology. AltraVita understands the value of learning and scientific engagement, the clinic keeps up with the most current fertility breakthroughs to better your journey to parenthood. 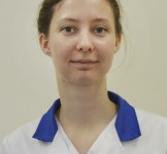 Honor’s standing graduated from the Moscow Medical Academy of Sechenov. Passed clinical internship and postgraduate study on the MMA basis. 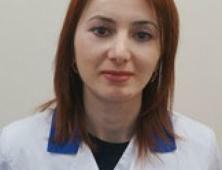 The master's thesis is devoted to state studying of endometrium by patients with infertility. 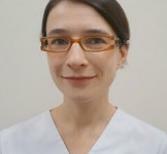 Has a wide experience of outpatient work in the field of endocrine gynecology. Author of numerous published works and articles published in central domestic and foreign press. Owner of numerous certificates of gynecologic endocrinology, ultrasonic diagnostics, pathology of vesicle cervix. 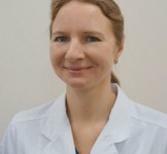 Member of the Russian Association of Reproductive Medicine. 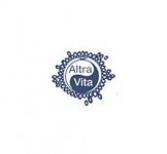 The team of fertility specialists at AltraVita take the time to assess your unique situation and circumstances and get you on the path to parenthood. Graduated from the Moscow Medical Academy. IM Sechenov with honors. Internship and graduate school was held at the Department of Obstetrics, Gynecology and Perinatology of MMA. IM Sechenov. 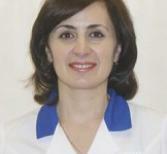 Scientific work is devoted to the study of fertility treatments in older women of reproductive age. Professional experience over 10 years. Second degree - high school teacher with the right instruction in medical schools. 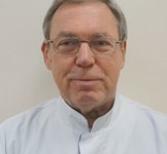 Author and co-author of a number of publications and articles, including manuals for doctors: " Endocrine infertility ", " Modern methods of infertility treatment ." Active participant in thematic conferences and international congresses, member of the Russian Association of Human Reproduction (RAHR ), the European Society of Human Reproduction and Embryology (ESHRE). Have extensive experience in organizing and conducting training seminars in reproductive medicine. 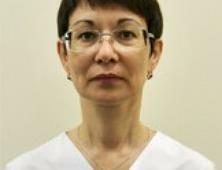 Learn more about AltraVita and the expert team of fertility treatment specialists who have helped so many build families in Russia. 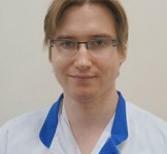 In 1992 he graduated from the Medical Faculty of the Russian State Medical University (SMU). Education in clinical internship specialization “Obstetrics and Gynecology". 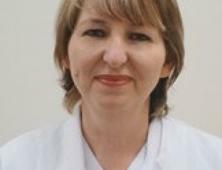 In 1995 passed the certification course on new methods of recovery of reproductive functions of humans led by BM Leonova (Research Institute of Obstetrics, Gynecology and Perinatology). Has specialized certificates in reproductive endocrinology, endoscopic methods of diagnosis and treatment, ultrasound diagnosis of pelvic organs. Takes an active part in international and domestic conferences on human reproduction. Professional experience -17 years. 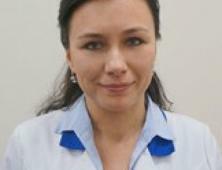 Member of the Russian Association of Human Reproduction (RAHR) and the European Society of Human Reproduction and embryo (ESHRE). AltraVita is committed to all fertility patients in achieving their pregnancy goals with the least costly means available — and the caring support each family deserves. Graduated from St. Petersburg State Pediatric Medical Academy. Residency was held at the Russian Academy of Postgraduate Education in the specialty “Obstetrics and Gynecology". 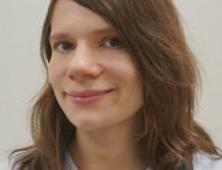 In 2005 she defended her thesis on “Improving sparing surgery in patients of reproductive age." Professional experience over 10 years. 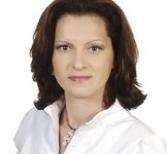 Author of several publications and articles published in the central domestic and foreign press. 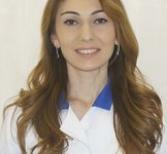 Holder of certificates of gynecological endocrinology, ultrasound, cervical pathology. 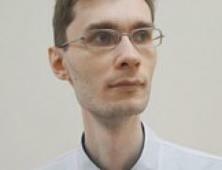 Member of the Russian Association of Human Reproduction. 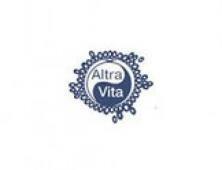 AltraVita is an advanced infertility Center in Russia founded on high success rates, cutting-edge technology, personal attention and affordable IVF treatments. 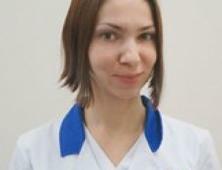 Graduated from the Izhevsk State Medical Academy. Trained clinical internship in “Obstetrics and Gynecology" at the Department of Postgraduate Education Izhevsk State Medical Academy. Passed certification courses on " Gynecological Endocrinology " in the department of postgraduate training of MMA Sechenov," sterile marriage and treatment methods of assisted reproduction " in the St. Petersburg Medical Academy of Postgraduate Education under the direction of MA Repin, "Ultrasound in Obstetrics and Gynecology " NTsAGiP them Kulakov, " Pathology cervix uteri." 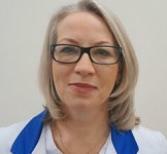 Professional experience - 11 years, 7 years in reproductive medicine. 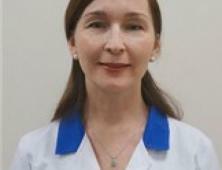 Has extensive experience in the treatment of infertility in endocrine disorders. Knows all methods of assisted reproduction. 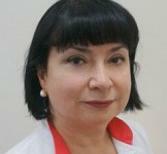 Author of scientific work on immunology endometrial pathology in infertility. Member of the Association of Human Reproduction (RAHR). Regular party congresses in reproductive medicine. 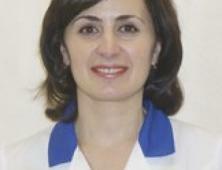 Has experience in conducting seminars in reproductive medicine. The entire team at AltraVita speaks candidly with patients about their specific diagnosis and the treatment options that are available to them. 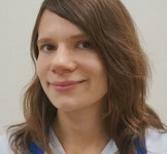 She graduated from the Far Eastern State Medical University in Khabarovsk. 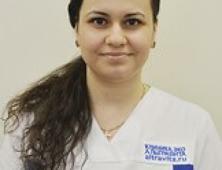 Studied in clinical internship in the specialty “Obstetrics and Gynecology" in Petropavlovsk -Kamchatsky and clinical residency at the Russian State Medical University, Moscow. In 2003 he defended his thesis on "Immunomorfologichesky features endometrium in women with recurrent miscarriage in the first trimester." 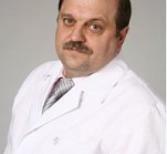 From 2003 to 2012 research fellow of therapy and prevention of miscarriage Scientific Center for Obstetrics, Perinatology and Ginekoloii Academician Kulakov. Has extensive experience in preparation for pregnancy and for pregnant women with recurrent pregnancy loss, Rh sensitization, training and management of pregnancy (incl. multiple) after IVF. Author of several publications in leading journals. AltraVita is a team of specialists dedicated to helping you attain your dreams of building a family. More than 10 years practice in infertility treatment and habitual miscarriage. 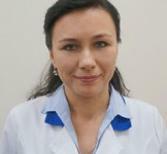 She is a research officer of Federal State Institution of Scientific center of obstetrics, gynecology and a perinatology of the academician V. I. Kulakov. Has a wide experience of maintaining pregnant women with endocrine pathology, with violations in curtailing system of blood. Scientific work is devoted to a clinical hemostasiology in obstetrics. Headed delivery department, female consultation. Owns all operational equipment in obstetrics and gynecology. 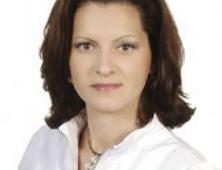 Author of numerous printing publications in leading professional magazines. Active participant of the international congresses. The goal at AltraVita is for all couples to succeed under our commitment to detail — combined with advanced technology to achieve your dream of parenthood. Obstetrician Gynecologist of the highest qualification category, PhD. 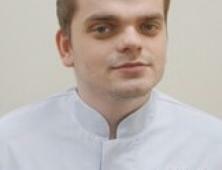 Graduated from St. - Petersburg Medical Academy. Internship and graduate school was held on the basis of CFPR Moscow. Ph.D. thesis was devoted to the study of pregnancy and childbirth in women of different age groups. 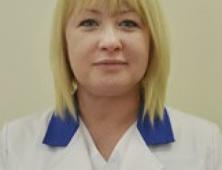 Works as an obstetrician - gynecologist responsible physician on duty in the leading maternity hospital of Moscow. Engaged in the conduct of pregnancy and delivery in patients at high risk. Owns all kinds of surgical interventions in obstetrics and gynecology. 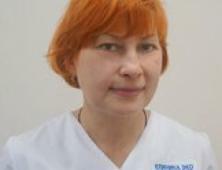 Member of the Russian Scientific Society of Obstetricians - Gynecologists. Author of several scientific articles. Work experience - 15 years. 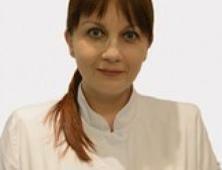 Tatiana is a fertility specialist who is unconditionally committed to finding a treatment course that fits your diagnosis and your desires. 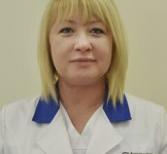 She graduated from the Omsk Medical Academy. Passed residency on “Obstetrics and Gynecology" at the Department of Obstetrics and Gynecology Medical Faculty Krasnoyarsk Medical Academy. Postgraduate courses in ultrasound and endoscopy. Since 2000 works as an obstetrician - gynecologist, ultrasound diagnostics. Conducts of outpatient appointment. Within 5 years of experience in the diagnosis and treatment of various forms of infertility, couples training programs ART conduct early pregnancy in women with recurrent pregnancy loss after IVF cycles. 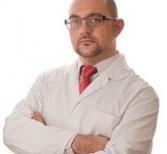 Owns endoscopic methods of infertility treatment. 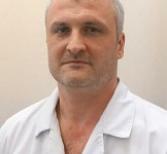 Member of the Russian Association of Human Reproduction (RAHR). AltraVita in Russia beholds high IVF success rates and provides patients an environment for personalized attention – that is not available in most IVF clinics. 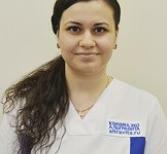 She graduated from the Omsk State Medical Academy as “medicine”, was an intern in obstetrics and gynecology at the Department of PDO OSMA; postgraduate course is taken in FGBOU DPO Training Institute FMBA of Russia. 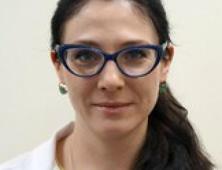 Successfully combines surgical activity with outpatient counseling techniques in patients with various forms of infertility. Certificate holder endoscopy, hysteroscopy, colposcopy, gynecological endocrinology. 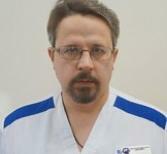 Passed professional training in ultrasound diagnosis in the Russian State Medical University. An active participant in international congresses, conferences in obstetrics and gynecology, human reproduction. AltraVita is one of the most renowned fertility clinics in the world — helping you with infertility and reproductive challenges for many years. 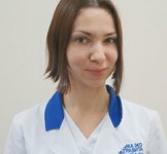 Graduated from Medical institute of Krasnoyarsk. 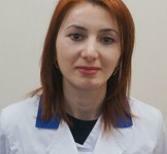 Studied clinical internship in "obstetrics and gynecology" on the basis of the Moscow State University of Medicine and Dentistry of Semashko, advanced training courses in endocrine gynecology and a reproduction, pathology of vesicle cervix. 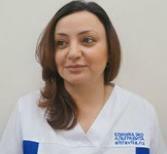 Carries out training of patients for the IVF procedure, infertility treatment. Specialist in ultrasonic diagnostics. Has a wide experience of conducting pregnancy with high risk of miscarriage with endocrine pathology and Rhesus factor conflict. Length of service in the specialty - 24 years. Author of numerous published works, including collective monographs about hyperandrogenism and insulin resistance. Active participant of thematic conferences and international congresses. Member of the Russian Association of Human Reproduction (RAHR), European Society of Human Reproduction and Embryology (ESHRE). Conducts expert ultrasound examinations of the abdominal cavity, retroperitoneum, thyroid , breast, pelvic in gynecologic and urologic pathology. 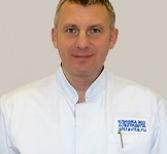 In 1975 he graduated from the Medical Faculty of the Moscow Medical Dental Institute. Worked in hospitals in Moscow. In 1985, he received training in clinical internship in “Obstetrics and Gynecology" based TSIUV, there has been trained in “ultrasound." Repeatedly passed specialization courses and training, participated in scientific conferences. Conducts expert ultrasound examinations of the abdominal cavity, retroperitoneum, thyroid , breast, pelvic in gynecologic and urologic pathology. 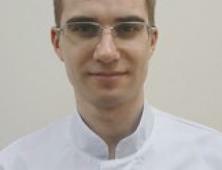 He is fluent in ultrasound diagnostic techniques during pregnancy, including the use of Doppler in obstetric practice. Specializes in ultrasound before treatment of male and female infertility using assisted reproductive technologies (ART). Graduated from the Moscow Medical Academy. IM Sechenov. Passed residency in obstetrics and gynecology through the Department of Postgraduate Education of MMA. 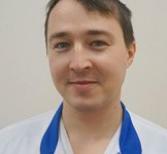 IM Sechenov, vocational retraining in “ultrasound " in Russian Medical Academy of Postgraduate Studies . 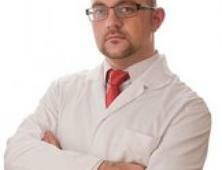 He is fluent in the methods of diagnosis and Doppler ultrasound in obstetrics. 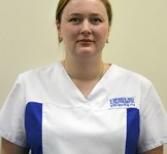 Conducts ultrasound pelvic, abdominal, retroperitoneal, thyroid and mammary glands. 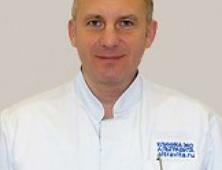 He regularly attends cycles of thematic advanced training course in ultrasound diagnostics. Holds extensive experience in the planning and management of pregnancy in patients with endocrine disorders (thyroid disorders, diabetes). Graduated from the Moscow Medical Academy. IM Sechenov. Passed residency in endocrinology based Endocrinology Research Center, professional retraining in “ultrasound " - at the Institute of Advanced Studies of the Federal Medical and Biological Agency . 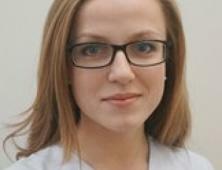 Graduated from the Medical Faculty of the Moscow Medical Academy. IM Sechenov in 1995. Passed residency on “Anesthesiology and Intensive Care “at the Department of Postgraduate Education of MMA. IM Sechenov. 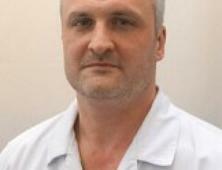 He worked as an anesthesiologist at the Moscow Regional Institute of Obstetrics and Gynecology. Science writer for pain in obstetrics. Owns the methods of epidural anesthesia and caudal, membrane plasmapheresis . 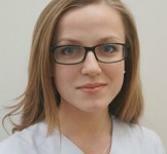 Passed improvement on the treatment of pain syndromes in the department FPPU Moscow Medical Academy. IM Sechenov. Has years of experience in the field of reproductive health to prepare patients with somatic burdened history to conduct IVF programs. Graduated from the Leningrad (St. Petersburg ) Military Medical Academy. SM Kirov. Internship in “Anesthesiology and Intensive Care” at the Department of Postgraduate Education of the St. Petersburg Military Medical Academy; doctor of the highest category. Leads therapeutic reception of pregnant women. Author of publications in the field of cardiology and mental health. Perfectly masters methods of clinical research of ejaculate and auxiliary reproductive technologies: IVF, ICSI, IMSI, hetching, biopsy of a blastomer, cultivation of embryos to a blastotsist stage, a cryopreservation of sperm, eggs, embryos and telas of ovaries. Graduated from Lomonosov Moscow State University, faculty of biology. 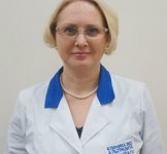 Passed a certified course according to the program "New Methods of Restoration of Human Reproductive Function — IVF and Embryo Transfer into Uterus Cavity" on the basis of Scientific Center of Obstetrics, Gynecology and Perinatology of the Russian Academy of Medical Science, a training course of embryo vitrification (superfast freezing), eggs and telas of ovaries under the guidance of the author of a technique of professor Kuvayama ("Kato Ladies Clinic" clinic (Tokyo, Japan). Perfectly masters methods of clinical research of ejaculate and auxiliary reproductive technologies: IVF, ICSI, IMSI, hetching, biopsy of a blastomer, cultivation of embryos to a blastotsist stage, a cryopreservation of sperm, eggs, embryos and telas of ovaries. Conducts microbiological researches, PCR-based diagnostics. 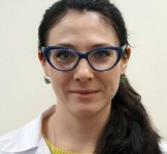 The participant of the Russian and international scientific projects in the field of reproductive medicine. 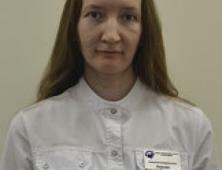 Employee of biological faculty of the Moscow State University. 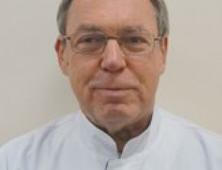 Author of numerous publications on population genetics and human embryology. Works in Altravita IVF Clinic since opening. Perfectly masters research of ejaculate and auxiliary reproductive technologies, cultivation of cells, colorings of intracellular structures by means of monoclonal antibodies, methods of fluorescent microscopy, carries out a microinjection of cells. Graduated from Lomonosov Moscow State University (biological faculty). Research work in Scientific Research Institute of carcinogenesis of the Russian Scientific Oncological Center of N. N. Blochin, Russian Academy of Medical Science, on subject: "Organization change the aktin-structures of the normal and transformed cells on a substratum with a limited adhesive surface". Perfectly masters research of ejaculate and auxiliary reproductive technologies, cultivation of cells, colourings of intracellular structures by means of monoclonal antibodies, methods of immunofluorescent microscopy, carries out a mikroinjection of cells. Got award of Research Institute of Carcinogenesis NN Blokhin Russian Cancer Research Center RAMS for the best work of young scientific (2004). 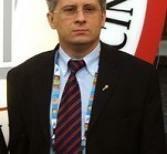 Awarded Russian Federation President's support grant for young Cand. Sc.s on MK-1369.2005.7 (2005-2006), support grant of Russian fund of basic researches for young scientists (2001,2002,2003). Perfectly masters methods of auxiliary reproductive technologies: IVF, ICSI, IMSI, cultivation of unripe eggs in vitro, cultivation of embryos into a blastocyist stage, vitrification (superfast freezing) eggs and embryos. Perfectly masters methods of auxiliary reproductive technologies: IVF, ICSI, IMSI, cultivation of unripe eggs in vitro, cultivation of embryos into a blastotsist stage, vitrification (superfast freezing) eggs and embryos.Has a wide experience in work with cultures of cells. Author of numerous published works on immunology. 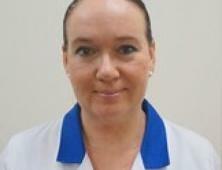 Works in Altravita IVF clinic since 2004. Perfectly masters all methods of clinical research of ejaculate and auxiliary reproductive technologies: IVF, ICSI, IMSI, embryo-cultivation to various stages, a cryopreservation of sperm, eggs and embryos. 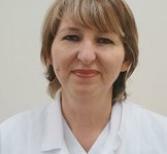 Works in Altravita IVF clinic since 2008. 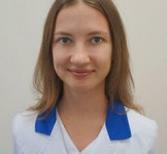 Honours standing graduated from physical faculty of Lomonosov Moscow State University. Graduate student of biophysics department. Has published numerous scientific publications. Passed advanced training course "Auxiliary reproductive technologies, embryological methods" on the basis of embryology department of biological faculty of Lomonosov Moscow State University. Perfectly masters methods of clinical research of ejaculate and auxiliary reproductive technologies: IVF, ICSI, IMSI, cultivation of embryos to various stages. 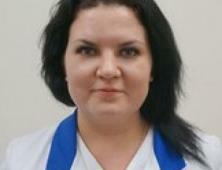 Graduated from biological faculty of Lomonosov Moscow State University. 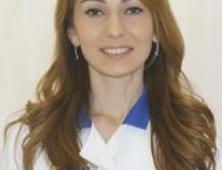 Participant of russian and international scientific projects in the field of reproductive medicine. Perfectly masters methods of clinical research of ejaculate and auxiliary reproductive technologies: IVF, ICSI, IMSI, cultivation of embryos to various stages. Regardless of your situation, our nationally recognized infertility specialists work closely with you to develop a personalized fertility treatment plan, including IVF, PGD, egg donation and other fertility options. 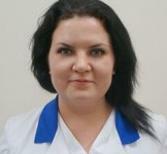 Graduated from medicobiological faculty of the Russian State Medical University of N. I. Pirogov. Passed postgraduate study on faculty of bioengineering and bioinformatics of Lomonosov Moscow State University on the basis of laboratory structure and function of mitochondrions of institute for scientific research (department bio-energetics). Thesis: "Intercellular interactions mesenchymal the mesenchimal the multipotent of cells and the differentiated cells of heart and nephros". 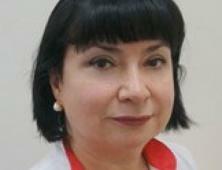 Author of numerous scientific publications in russian and foreign magazines. Passed advanced training course according to the "Auxiliary Reproductive Technologies, Embryological Methods" program on the basis of embryological department of biological faculty of Lomonosov Moscow State University. Masters all main methods of auxiliary technologies. Perfectly masters methods of clinical research of ejaculate, sperm-preparation, PCR-based diagnostics. Carries out IVF, cultivation of embryos to various stages, ICSI, IMSI. Graduated from the Moscow Pedagogical State University (biological and chemical faculty). Was engaged in scientific work at Institute of General Genetics of Russian Academy of Sciences. Passed advanced training course according to the "Auxiliary Reproductive Technologies, Embryological Methods" program on the basis of embryology department of biological faculty of Lomonosov Moscow State University. Perfectly masters modern methods of clinical research of ejaculate and auxiliary reproductive technologies: IVF, ICSI, IMSI, cryopreservation of sperm and embryos, cultivation of embryos to blastocyst stage. 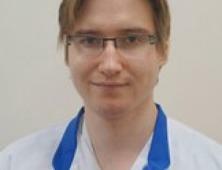 Research associate of Lomonosov Moscow State University, biophysics department. Research work on studying native sperm ultramorphology. Passed advanced training course according to the Auxiliary Reproductive Technologies program on the basis of obstetrics and gynecology scientific research institute of D. O. Ott. Perfectly masters modern methods of clinical research of ejaculate and auxiliary reproductive technologies: IVF, ICSI, IMSI, cryopreservation of sperm and embryos, cultivation of embryos to blastotsist stage. Perfectly masters all methods of clinical research of ejaculate and auxiliary reproductive technologies: IVF, ICSI, IMSI, embryo-cultivation to various stages, a cryopreservation of sperm, eggs and embryos. Honours standing graduated of the Moscow Agricultural Academy of K.A. 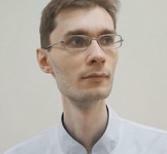 Timiryazev (zooengineering faculty). Research work in laboratory of cellular and genetic engineering of the All-Russian research institute of physiology, biochemistry and food of agricultural animals (Russian Academy of Agrarian Sciences State Scientific all Union Institution) on a subject: "Development of the cloned embryos of cattle and mice in vitro, depending on conditions of their reconstruction and cultivation". Awarded Cand. Sc. of Biology degree in "Biotechnology" . The senior research associate, the member of an academic council of Russian Academy of Agricultural Sciences all Union Institution. 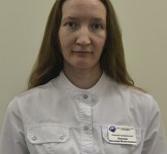 Author of numerous publications on subject of mammals cloning. Got the patent for the invention "Device for electrostimulated merge karyoplasts with cytolayers". An application for the invention "Way of activation of the reconstructed and not impregnated egges of mammals" is submitted. Within the federal target program "Researches and Development in the Priority Directions of Development of a Scientific and Technical Complex of Russia for 2007-2012" he was the grant executive "Receiving the cloned embryos of agricultural animals with using somatic cages as karyoplast kernels and as eggs cytolayers ripening by in vivo and in vitro". Perfectly masters all main methods of clinical research of ejaculate, cryopreservation of sperm. 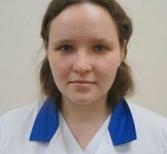 Graduated Lomonosov Moscow State University (embryology department, biological faculty). Research work in neuromorphology on the biology Institute basis of development of N. K. Koltsov of the Russian Academy of Sciences. 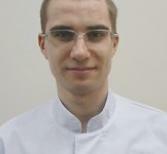 Author of numerous publications on neuromorphology. 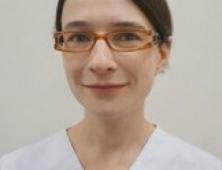 Has considerable experience with confocal, polarizing and fluorescent microscopes. Perfectly masters all main methods of clinical research of ejaculate, cryopreservations of sperm. The main sphere of interests – research methods of chromatin structure sperm kernels. 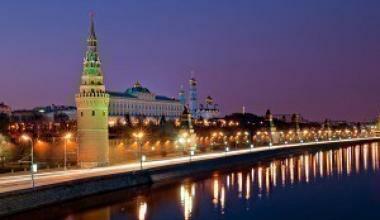 Moscow is a vast city — where you will find yourself devoured into historic views and grand entertainment. Explore the celebrated and beautiful streets of the city, and consume the taste of the riches that await you on a trip to Moscow. Be sure to visit — Assumption Cathedral, Armoury, St. Basil’s Cathedral, and the Izmaylovsky Park & Royal Estate. Moscow boasts hundreds of hundreds of restaurants, bars, cafes and fast-food outlets, from cheap basement venues to top-class dining establishments with some of the best chefs in the world. Top restaurants at a price you can afford include — Delicatessen, Café Pushkin, Vanil. Moscow hotels combine turn of the century elegance into modern and luxurious accommodations for any traveler. Imposing 5-star facilities, each refined atmosphere offers the most attentive services and close by attractions. 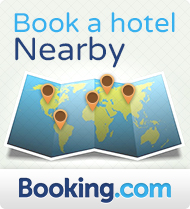 Top hotels include — Baltschug Kempinski Hotel, Golden Ring Hotel, and the famed Metropol Hotel.